Women have been removing facial hair since Ancient Egyptian times. ‘Sugaring’, invented by the Ancient Egyptians is still used today to remove unwanted hair, which along with waxing still provides an effective form of hair removal for both men and women. Incredibly however, hair removal has remained unchanged over the centuries until the arrival of Laser and Intense Pulsed Light (IPL). Welcome ‘permanent hair removal’. So what are the hair removal methods available today and what are the advantages and disadvantages of each? A flash of light is fired at the skin’s surface. The Light is absorbed by the pigment in the hair, where it heats and destroys it. If the hair is actively growing (anagen), the heat travels down the hair shaft to the base of the follicle destroying the cells responsible for producing the hair. Hair caught in the actively growing stage will not grow again. Several treatments are necessary in order to catch all of the follicles in the anagen stage and thus achieve permanent hair removal. A course of six to eight treatments is recommended to ensure the follicles are completely disabled and the hair will not grow again. After a course is completed, hair growth will be permanently reduced – if new growth (not re-growth) appears top up treatments may be required. This could be 6 months after the last treatment, or as long as 5 years after the end of the course and generally only a couple of treatments would be required. Initially it is more expensive than waxing for example. (However long term studies show that over a lifetime, waxing is more costly than laser treatment and unlike laser is not a permanent solution to unwanted hair). It takes time because there needs to be a four to six week gap between treatments. In between, you need to shave or bleach any remaining hair, rather than pluck or wax it. It is most suitable for dark hair on pale skin (laser energy is absorbed by pigment, so works best when there is a strong contrast between skin and hair colours), though new lasers mean dark-skinned women and those with sensitive skin can be treated in some clinics. It is not effective on blonde, white or grey facial hair. A good practitioner is essential to ensure there will be no burning or hyperpigmentation. IPL — or Intense Pulsed Light — is similar to laser treatment, but uses various light wavelengths (laser uses a single wavelength), which can be more comfortable than laser and can have less side effects like reddening of the skin. Six to eight treatments are needed, with a gap of one to three months between each one depending on body area. As with laser, hair treated in the growth stage (anagen) will be permanently destroyed. 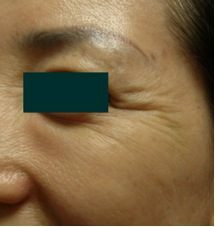 As well as the permanency of the procedure, it can be a more comfortable option compared to the Alexanderite laser. Treatment is also much quicker as with each flash, an area of 5cm squared is treated, compared with often a 3mm spot size of one laser shot. Lower legs therefore can be treated in less than half an hour, compared with 2 hours of laser treatment. As with laser, between treatments, you cannot pluck or wax, though you can shave. Initially it is more expensive, but as with laser, in the long term it is cheaper than waxing or shaving. Warm wax is applied to the area with a spatula. Fabric strips are applied and then pulled off, bringing the hair with it. Fairly quick, cheap and available in beauty clinics across the country. It can also be done at home by yourself. It is not a permanent hair removal solution. Waxing will need to be repeated over an entire lifetime, Not ideal for darker skins because waxing can cause skin discolouration. Regrowth is relatively fast and the hairs must be ½cm long before you can re-wax. It can cause a temporary rash, but will not damage the skin long term. It can, and often damages hair follicles by distorting them, resulting in in-growing hairs. Once in-growing hairs start appearing, you should stop waxing altogether as continuing will only exacerbate the problem. Many people complain of clothes and underwear ‘sticking’ to them after a treatment as it’s not always possible to remove all the wax completely. Hair removal creams which can be applied to the face and body are left on for a few minutes before removing, at which point the hair comes away, too. The chemicals contained within the cream dissolve the keratin in the hair structure. From a few days to two weeks. Cheap, effective and they are applied at home privately and quickly. Regrowth is rapid because hair is dissolved to just below the skin surface, not at the root. The chemicals can irritate sensitive skin, causing redness. Regrowth is slightly stubbly. A tube of facial hair removal cream costs £4.50 and can be purchased at supermarkets and chemists. Threading is an ancient, natural and eco-friendly method of hair removal that originated in the Middle East and has become increasingly popular in the UK. A cotton thread tied together and then twisted over the practitioner’s hands to make a figure of eight. It is then run over the skin in a scissor like motion, catching and pulling out the hair from the root. It’s a quick, cheap, effective and safe hair removal method not involving any chemicals. Threading is suitable on very short hair and, over time, the process damages the follicle, limiting regrowth. Though widely available, it may not be easy to find practitioners who are as expert in threading as other methods of hair removal. As with waxing, it is not a permanent hair removal solution and as with any hair removal methods which involve ripping the hair out of it’s follicle, it can lead to ingrowing hairs. Hairs are given an ‘electric shock’ through a fine, sterile needle that is inserted into each follicle. This cuts the supply of blood and oxygen to the hair, killing it. You might need several sessions, but the result is permanent. As with laser, results are permanent. It’s a time consuming, tedious process thereby only making it a feasible option for small areas like facial hair removal. Clients can need more than a 15 sessions, which can make having this treatment costly. An upper lip could take up to ten hours to clear of hair. It is also painful. Although initially it looks cheaper than laser hair removal, many more sessions are needed and in the long run, it is not as effective as laser treatment. 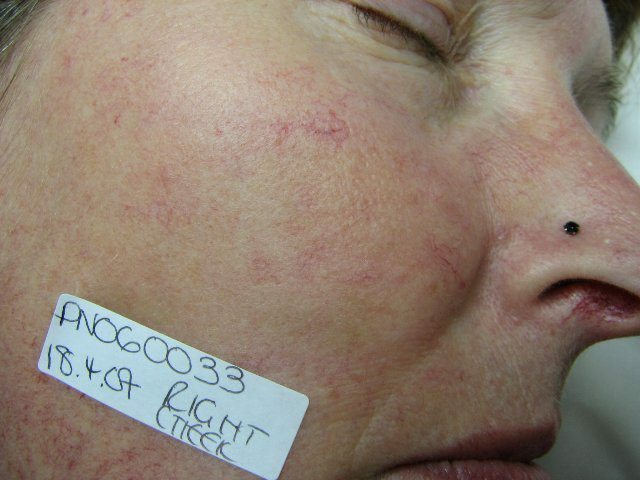 A study conducted at the NHS Withington Hospital, MAnchester by Lynton Lasers concluded that laser was both more effective than electrolysis, much quicker and more comfortable. Although electrolysis should be permanent, results can also be inconsistent due to practitioner skill and training. Unlike laser where the pigment in the hair grabs the light energy, effective electrolysis relies on the needle being inserted to the correct depth within the hair follicle in order to ensure that follicle is permanently damaged. If the electric current is not delivered correctly, it can be a very ineffective treatment. A 15-minute session will set you back approx. £20. For treatments such as laser and IPL, finding a reputable, well-trained practitioner or clinic is essential. Poor use of equipment can result in burns and permanent lightening or darkening of the skin (hypo or hyperpigmentation). They should have full insurance and be happy to show you their certification. Don’t be afraid to ask what qualifications they hold. The majority of practitioners only receive training from their equipment supplier. Training provided by laser manufacturers can last anything between 2 hours, to 2 days maximum after which they are free to start treating clients. Many clinics advertise that you will be treated by a doctor or a nurse. However unless they have obtained a specific qualification in Laser and Intense Pulsed Light, they will be none the wiser than any beautician who has been trained by the manufacturer. Always ensure that your practitioner has obtained the BTEC Laser and Light Technology certification which takes a year to complete and requires the candidate to have completed many hours of training and treatments on different lasers and IPLs. You should also check that your practitioner owns their equipment and is not merely hiring it. Paying for expensive machines indicates a commitment to their profession. and practitioners however they do not distinguish between those clinics who have received basic manufacturer training or those who are BTEC qualified. Always ask before booking a consultation. 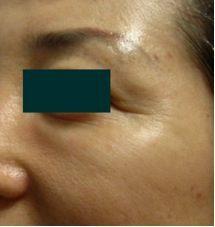 Skin resurfacing has historically only been an option for those willing to go down the ablative laser route, meaning significant ‘down-time’ for the client. Now with the arrival of fractional laser technology it is possible to achieve real skin rejuvenation, without the undesired side effects. For a detailed explanation of how the Mosaic fractional laser treatment works, please take a look at the following video. Despite the cartoon-like beginning, the video provides a straight forward explanation of how fraxel or pixel laser works. Excess body hair can be unsightly, difficult or inconvenient to remove, and grows back quickly. Shaving, waxing and depilatory creams are all temporary methods that must be repeated on a regular basis. Laser and Intense Pulsed Light (IPL) hair removal is the only clinically proven treatment available for permanent hair removal. At Laser Skin Solutions we use both a Laser and Intense Pulsed Light system for permanent hair removal, enabling us to treat all skin types. Your skin is safe in our hands. A short burst of light is fired at the skin’s surface. Light is absorbed by the pigment in the hair shaft, where it heats and destroys the hair. If the hair is in the growth stage (anagen), the heat is transmitted down the hair shaft to the base of the follicle and to the germ cells lining the follicle shaft, causing their destruction. Why is it necessary to have more than one laser hair removal treatment? Because the hair must be lasered whilst in the ‘anagen’ (active) growth stage. All hairs grow in 3 cycles. The active, or ‘anagen’ phase is just one of the growth cycles. Further treatments are needed in order to ensure all of the hairs are caught in the ‘anagen’ phase. Somewhere between 4 and 8 treatments are usually required. Research indicates that on average, somewhere between 20% – 30% of hairs will be in the active growth phase. This means therefore that a minimum of 4 treatments would be required to treat any one area. The exact number will vary depending on where the hair is, what has been done to the hair in the past and, of course, your individual response. Hormonal conditions, such as Polycystic Ovarian Syndrome (PCOS), may have a significant bearing on how the treatment progresses. How often will I need to have laser hair removal treatment? This will depend on the area treated. Clinic trials have shown that for best results, facial hair should be treated every 4 weeks. Bikini lines and legs would be treated somewhere between 6-8 weeks. Generally speaking most areas would be treated every 4-8 weeks. At Laser Skin Solutions, Laser Clinic Bournemouth we only use medical grade lasers which is why our lasers are Lynton Lasers. Our Lynton Lumina (not to be confused with the ‘Luminette’ used in Beauty Clinics) is the same Nd:YAG Laser and IPL used by the NHS. A medical Lynton Laser was recently loaned to the set of Holby City which you can see on YouTube. See the Video below. Laser Skin Solutions in Gervis Road, Bournemouth is the only laser clinic in Dorset to now offer the very latest ‘fractional laser technology’ which can virtually eliminate years of pigmentation, sun damage, wrinkles, stretch marks, scars, and other skin problems. Advances in laser technology mean that the gruesome laser skin resurfacing, as seen on Channel 4’s ‘Ten Years Younger’, is no longer necessary in order to achieve a beautifully even-toned skin. With fractional lasers, minute sections of the skin are targeted with laser light which penetrates into the skin to stimulate significant collagen renewal. This innovative laser treats the deeper layers of skin without damaging the surface. It gradually and safely erases the signs of aged and sun damaged skin and in many cases can eliminate blemishes altogether. The surrounding non-affected areas of skin aid the body’s natural recovery process, for dramatic results without significant down-time. Most treatment sessions last about 30 minutes, with an additional 60 minutes needed to let the numbing cream take effect for maximum patient comfort during the procedure. Some people need more than one treatment to achieve their desired results. Treated skin will appear slightly red for a few hours after treatment, and over the next two weeks, firmer and more radiant skin will begin to appear. Laser Skin Solutions is a specialist skin clinic that offers non-invasive cosmetic and aesthetic procedures. It is registered with the Care Quality Commission. We all get rosy cheeks and nose after a glass of our favourite tipple, but if you have a permanently flushed face, you could be one of the 6 million people currently suffering from Rosacea in the UK. Rosacea (pronounced roh-ZAY-shah) is a progressive inflammatory vascular disorder which mainly affects the face. It is a chronic skin disease that causes redness and swelling on the face, scalp, neck, ears, chest and back. It is also possible to get rosacea in your eyes, a condition known as ocular rosacea which can make the eyes look bloodshot. Symptoms usually begin in adults between the ages of 30 and 60. When women with rosacea go through menopause, they may experience additional flushing. 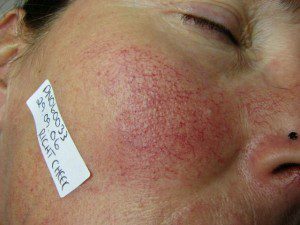 Rosacea often starts with what looks like a blush. Then the disease progresses to red spots and bumps filled with a clear fluid. Tiny blood vessels may become noticeable. The skin on the nose may become thick and red. Research has set the record straight regarding the old tale that rosacea is caused by heavy drinking. Alcohol aggravates rosacea but does not cause it. Another myth is that rosacea is “adult acne.” The disease has little to do with the spots and blackheads of acne. • Shield yourself from the sun and extreme cold . • Abstain from alcohol, if you can. If not, cut down. • When you put anything on your face, do it gently. No scrubbing. • Avoid spicy foods and hot beverages. • Do not use facial products containing alcohol and fragrances. • Avoid overheating. When exercising, make sure it’s in a cool place. And no hot showers or baths. Over the past 12 months the number of women opting to have skin rejuvenation treatments has increased by over 70% according to the latest figures reported by the Daily Mail. As technology advances, so too does the ability to ‘turn back the clock’, meaning women over the age of 50 have a better chance at counteracting the effects of the menopause. When oestrogen levels drop so too does the ability to build collagen, retain essential skin moisture and maintain an even skin tone. Menopausal women can experience various unwanted changes to the face and body including weight gain, unwanted facial hair, skin laxity, thread veins, acne break-outs and pigmentation. The good news is help is at hand. These days there is a laser treatment for just about everything. Long gone are the days when laser skin treatments were only accessible to the rich and famous. Now everyone can have laser treatment, whether it’s for permanent hair removal or skin rejuvenation. Certainly many women may choose to do just that and grow old ‘gracefully’. However for those of us who would rather have a helping hand both pre and post menopause, there is certainly an abundance of treatments to choose from. Welcome to the new Laser Clinic Bournemouth Blog. Watch out for latest news, advice and information. If you are looking for laser hair removal treatment then contact Laser Skin Solutions, Laser Clinic Bournemouth for more information or to book a consultation.